We’ve been listening and have heard an increase in questions surrounding Wholesale Billing and how to manage user accounts. To make things easier, we’ve answered those questions with some step-by-step instructions to help walk you through the experience. How do I transfer the Master Administrator on my account? In order to transfer the Master Administrator rights to another user, you must first be signed in as the Master Administrator of the account. If you are not the current Master Administrator, please ask the current Master Administrator to follow the steps below. 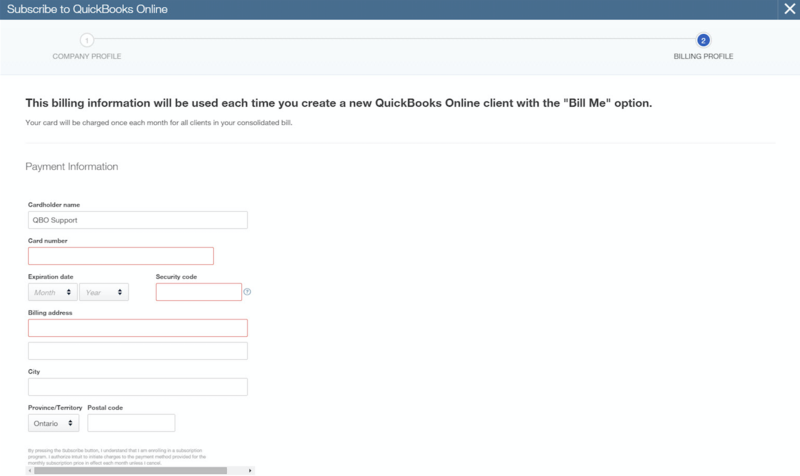 Log into QuickBooks® Online using the Master Administrator’s user ID and password: https://ca.qbo.intuit.com. Click the Transfer Master Administrator button on the left side of the screen. If this button does not appear, you are not signed in as the Master Administrator or do not have an accountant to transfer Master Administrator privileges to. In the Transfer To drop-down list, select the name of the new Master Administrator. If the user you wish to transfer the Master Administrator role to does not appear in the drop-down list, click Cancel to return to the Manage Users page. You will need to make the desired user an Accountant. Make sure an email address is included for the user. An email will be sent to the user being invited to become the new Master Administrator. That user will need to accept the invitation from the email. 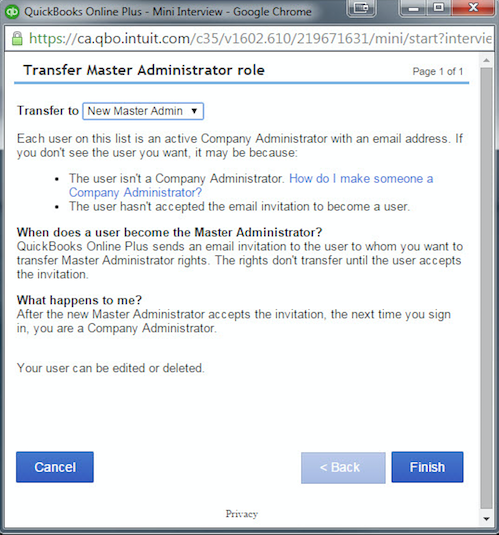 **Note: The Master Administrator role does not transfer until the invitation is accepted by the new user. How do I move my client to Wholesale Billing? Navigate to ca.qbo.intuit.com and log in. Enter your “Company Profile” and “Billing Profile” details. Select the clients you would like to move to wholesale billing. How do I delete a client from Wholesale Billing? From the Accountant home page, click on the name of the client/client company. **Note: In order to completely revoke accountant access from the books, the client or another accountant that is already on the books will need to delete the accountant that needs to be removed.